The BBC’s David Ornstein has revealed why he thinks Mesut Ozil isn’t playing for Unai Emery’s Arsenal (via Arseblog). It was always going to be interesting to see how Mesut Ozil adapted to life under Unai Emery at Arsenal. The Spaniard is known to be a demanding manager and there were many suggestions that the club’s top-earner would struggle. That seems to have been proven accurate and now, the BBC’s David Ornstein has revealed why he thinks Ozil has made just three Premier League starts since November. 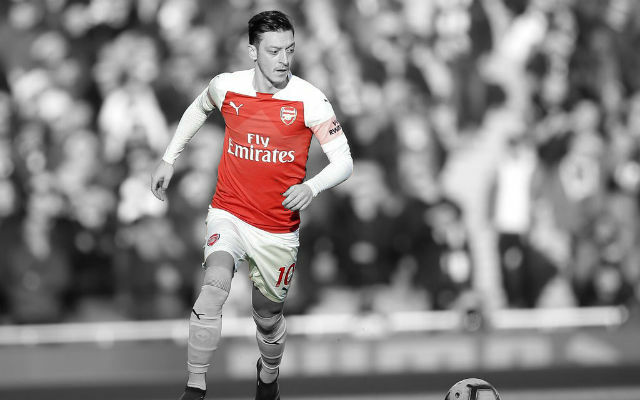 “We know ahead of the Bournemouth game that Unai Emery had made it clear that he didn’t see Özil being of value in big away games,” Ornstein said in an interview with Arseblog. “I’ve been told that Emery has expressed to Özil that it might be better for him to leave. What we don’t know is whether that is the feeling of Emery, the feeling of the hierarchy, or the feeling of both of them. “Özil’s view was that ‘I’m not leaving, certainly not in the January transfer window.’ I’ve been told that he’s training well, that he’s not a problem within the camp but the way he’s being used – or not used – and I don’t know this for a fact but it would appear that Emery isn’t playing him for the reason of encouraging Özil to seek pastures new in the summer. “I don’t know this for a fact so this is just one possible theory that he’s not being played so that he has no choice in the summer. If he wants to resume his career then he has to move and it gets this £350,000 per week problem off Arsenal’s hands. It certainly can’t go on. It seems likelier and likelier that just one of Mesut Ozil or Unai Emery can stay at the club long-term and considering the massive salary handed to the German, he will be the likeliest casualty.